United States immigration officials deported a Nazi collaborator who has been living in New York City for decades, the White House announced in a Tuesday statement. 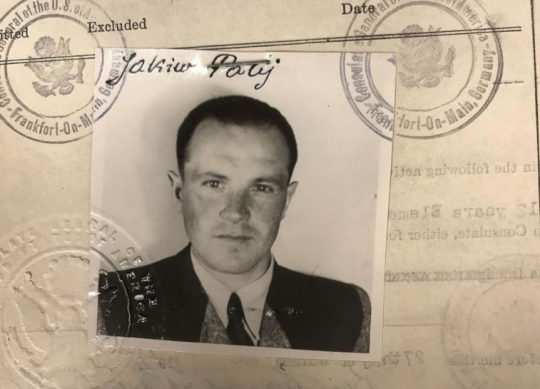 "Early this morning, United States Immigration and Customs Enforcement (ICE) implemented a 2004 order of deportation to the Federal Republic of Germany of Jakiw Palij, a former Nazi SS labor camp guard in German-occupied Poland and a postwar resident of Queens, New York," the White House stated. Palij, now 95, worked as a guard at the Trawniki Labor Camp, in German-occupied Poland and emigrated to the U.S. in 1949 after the war, CNN reported. He became a citizen in 1957 after lying about his role during World War II. He claimed he worked on a farm and in a factory during the war. In 2001, Palij admitted to the government officials that he was trained at a Nazi facility and participated in "Operations Reinhard," the Nazi's plan to murder Jews in Poland, where served as a guard at the Trawniki Labor Camp. Trawniki was where one of the largest massacres of the Holocaust occurred. On November 3, 1943, approximately 6,000 Jewish children, women, and men who were incarcerated at the adjacent Trawniki Labor Camp were shot to death in one of the single largest massacres of the Holocaust. By serving as an armed guard at the Trawniki Labor Camp and preventing the escape of Jewish prisoners during his Nazi service, Palij played an indispensable role in ensuring that the Trawniki Jewish victims met their horrific fate at the hands of the Nazis. In 2003, a federal judge revoked Palij's citizenship and he was ordered to be deported in 2004. He wasn't deported for years, however, because the European countries where he would be sent to would not accept him. The White House stated President Donald Trump was able to secure Palij's deportation to Germany. "Despite a court ordering his deportation in 2004, past administrations were unsuccessful in removing Palij. To protect the promise of freedom for Holocaust survivors and their families, President Trump prioritized the removal of Palij. Through extensive negotiations, President Trump and his team secured Palij’s deportation to Germany and advanced the United States’ collaborative efforts with a key European ally," the White House stated. Palij was the last active case from the nazi era for the Justice Department's Office of Human Rights and Special Prosecutions. New York City Alerts shared an ABC News video on Twitter of Palij being removed from his home by officials. This entry was posted in Culture and tagged Germany, President Trump. Bookmark the permalink.